She's the first face you see when you walk into Christ the King Schools. It's one of only four catholic elementary schools left in the city of Detroit and they attribute much of their success to Ms. Prentis Parker. It’s her kind heart paired with a youthful spirit that’s why the students love Ms. Prentis. 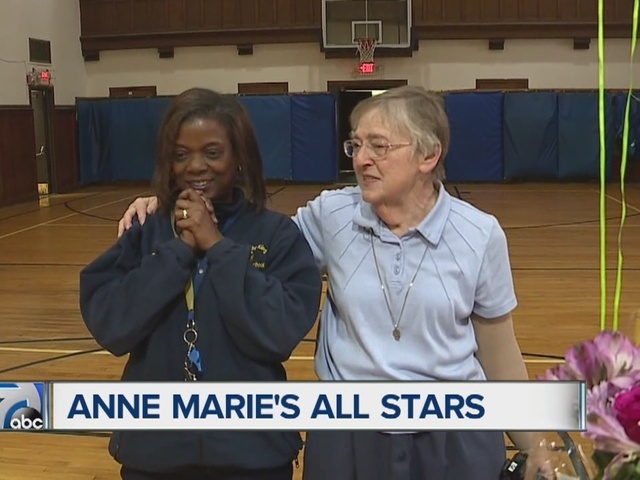 Sister Kathleen nominated Ms. Prentis for Ann Marie’s All Star. She calls the jack of all trades a “second mom” to the students. They threw an assembly Tuesday to surprise Ms. Prentis. “This is home, these are all my kids, I’ve got a lot of kids,” Ms. Prentis said. Christ the King has students in kindergarten through 8th grade and many students use those 9 years to create a lasting bond. “She’ll cheer you up- start singing, start singing songs to you,” student Lenah Alghali said. Always the first person students come back to see after graduation. “Their smiles and their faces and their education plans and just knowing what their future plans are and just being a part of that especially when they come back from being lawyers and stuff,” Ms. Prntis said is her favorite part of her bond with the students.